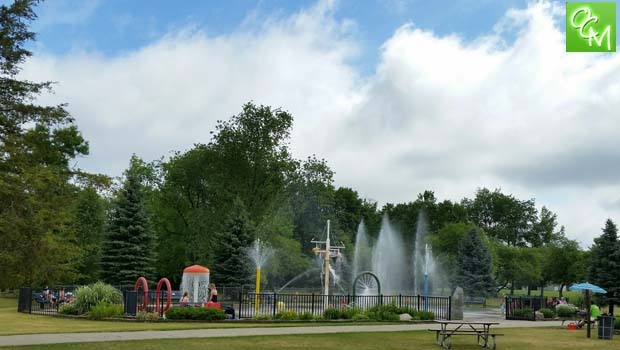 Clarkston Spraypark is 3200 square free of super-soaker fun located inside Clintonwood Park and maintained by the Independence Township Parks and Recreation Office. 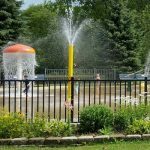 UPDATE – The NEWLY REMODELED Clarkston Spraypark AKA Renee Przybylski Memorial Spraypark will (hopefully) open for 4th of July 2018. 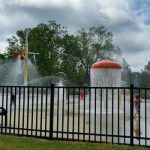 We’ll have a review and pics of the new & improved spraypark coming SOON! Upon entering Clintonwood Park, you’ll want to take the left driveway to park near the spraypark. 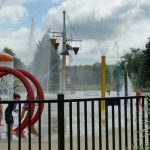 Entry to Clintonwood Park is free but there is a small fee for kids to use the Spraypark. 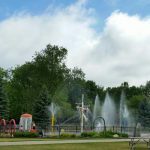 The fee for the spraypark is $2 for Clarkston school kids and $4 dollars for non-residents. Adults are allowed inside the Spraypark to monitor their kids for FREE. The Clarkson Spraypark has a capacity for 75 kids. If the maximum is reached, kids will be required to take turns in 15 minute intervals. 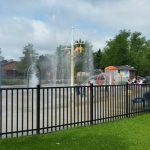 The conditions are monitored by a friendly park attendant at the entrance of the spraypark where they take the admission fees. 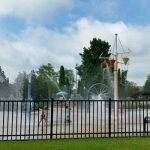 The Clarkston Spraypark is an ideal place to take the kids on warm summer days. In addition to the park being very safe (there is no standing water), it’s extremely fun! This spraypark isn’t like others I’ve visited. It’s very active as they have all the water-jets and features operating at once! Some sprayparks are motion activated but the spraypark cranks up the fun. It’s not like running through a freezing cold sprinkler. The spraypark heats their water to 74 degrees and the water is treated much like water in a swimming pool. Toddler Time, ages 6 and under, is from 10a-11a, Monday-Friday. Also, users should be aware that the Clintonwood Park Day Camp may be using the facility 12:30-2p. 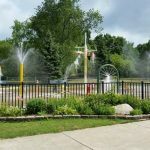 The Renee Przybylski Memorial Spraypark at Clintonwood Park is open from Memorial Day weekend through Labor Day weekend.